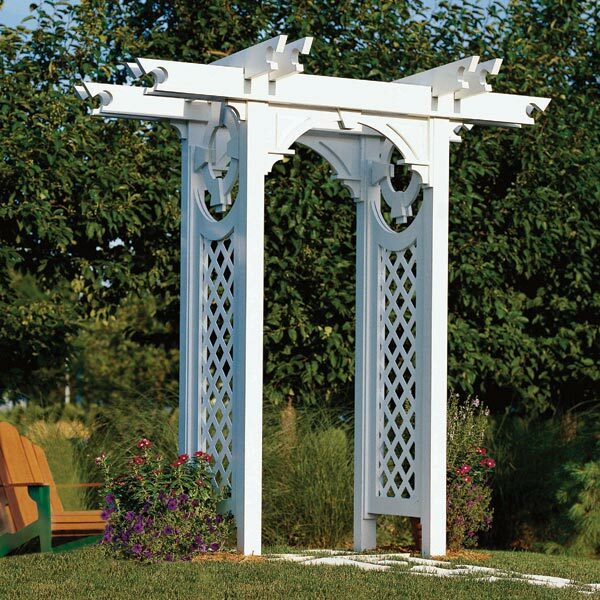 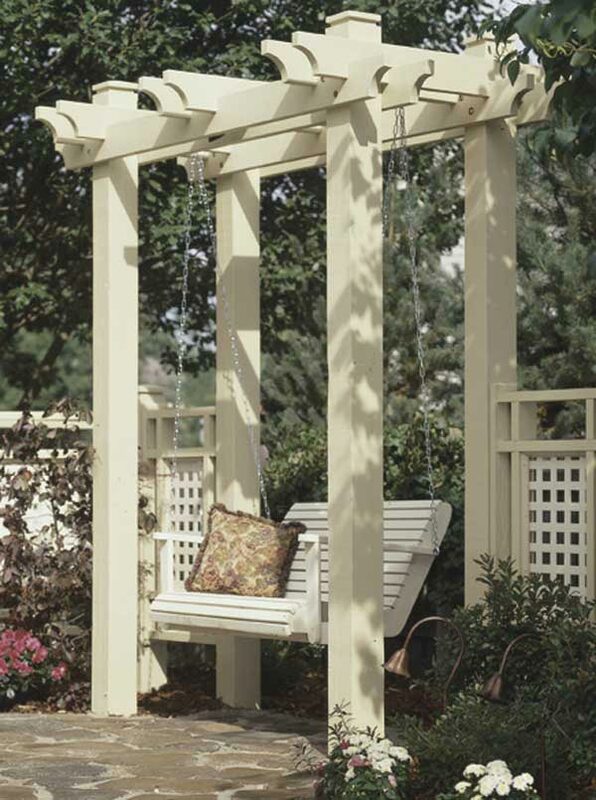 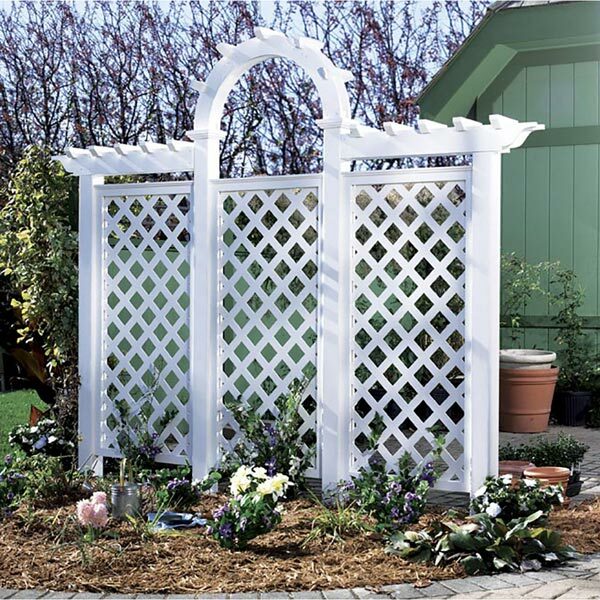 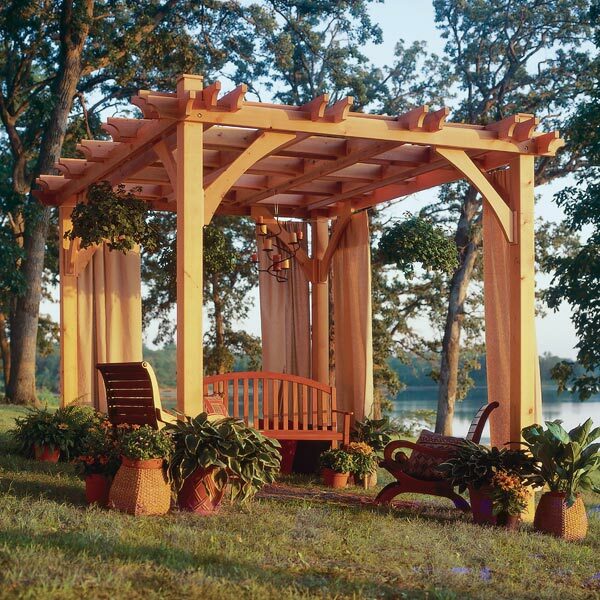 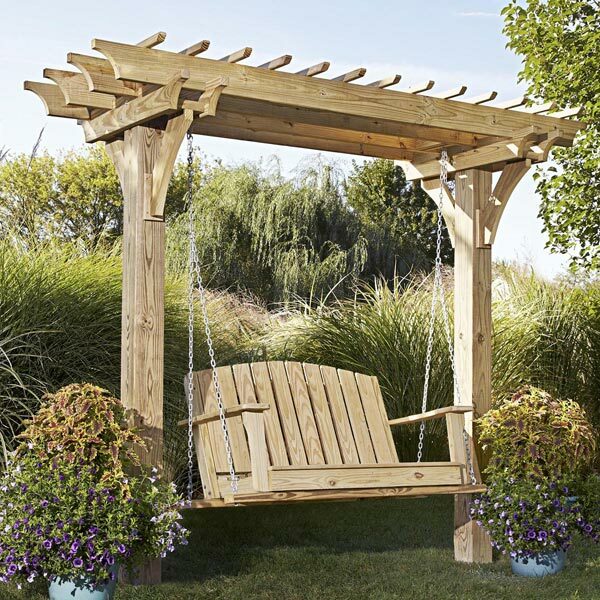 Distinctive architectural details'massive posts and beams, slatted side panels with decorative stiles, arched openings, and a roof that soars to a peak'combine to make this arbor a captivating garden addition. 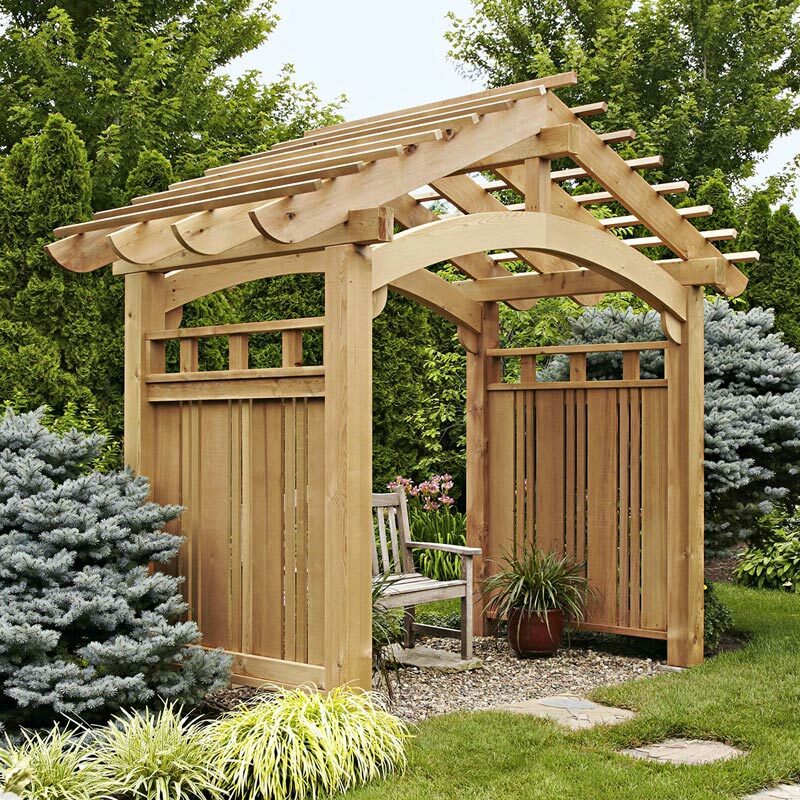 At the same time, standard construction lumber and screw joinery ensure a hassle-free constructions. 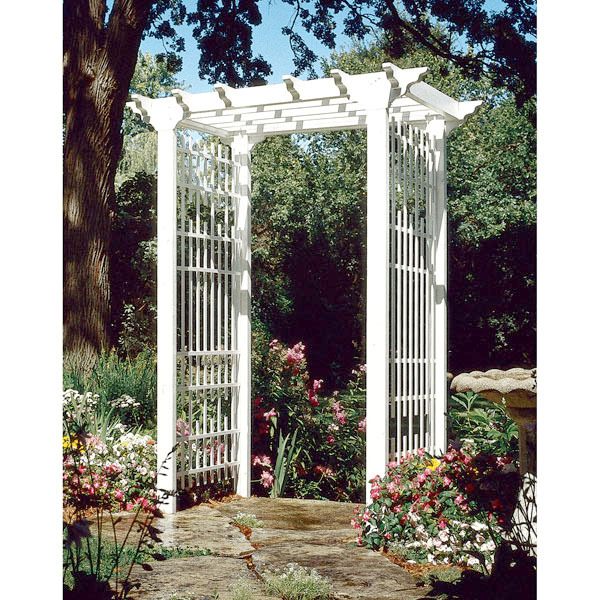 And those curved beams for the arched opening? 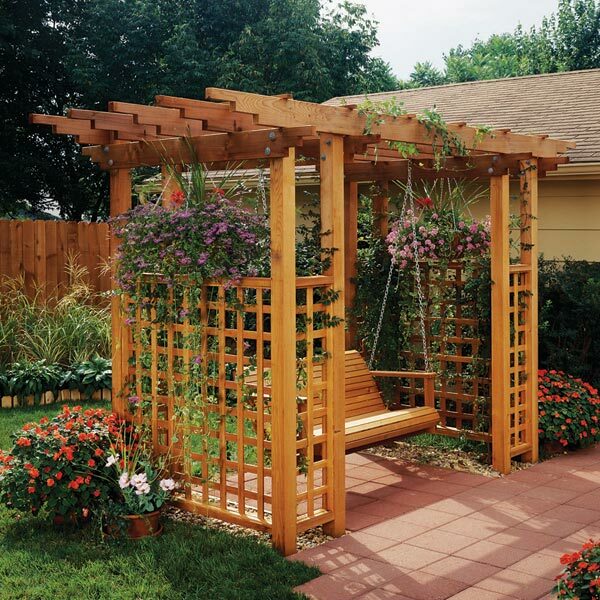 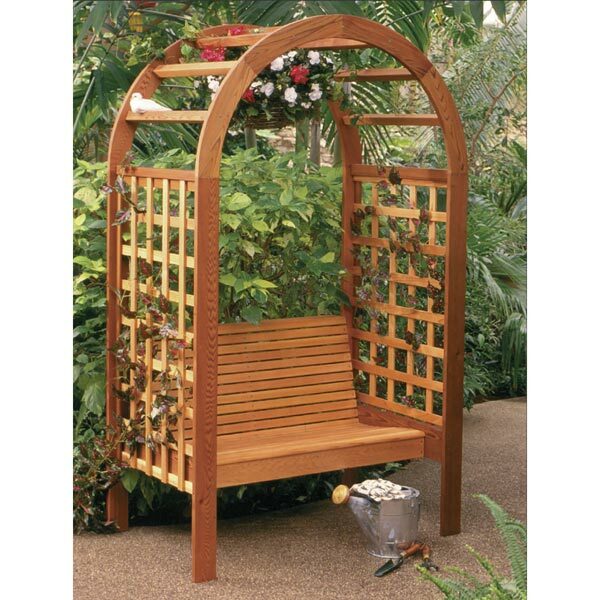 They're easy to assemble laminations ensuring that this stunning garden structure will be a pleasing build and a pleasant getaway.